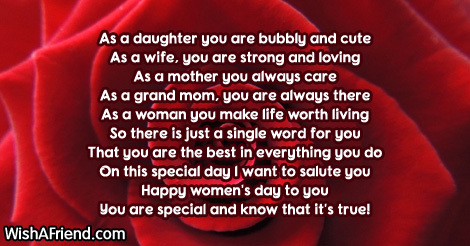 Send Women's Day poems to all the ladies in your life. 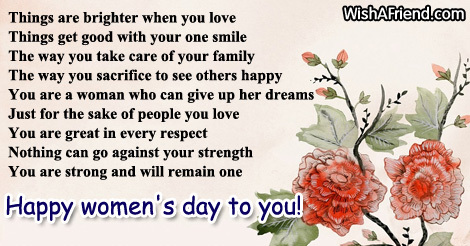 Share these Women's Day messages via Facebook, Whatsapp, Twitter etc. 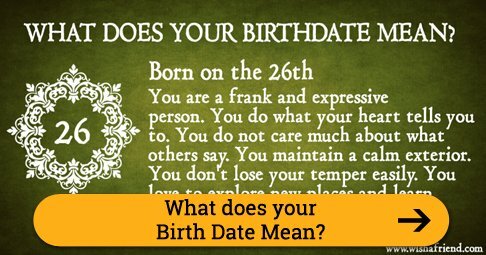 It's a big salute to you! 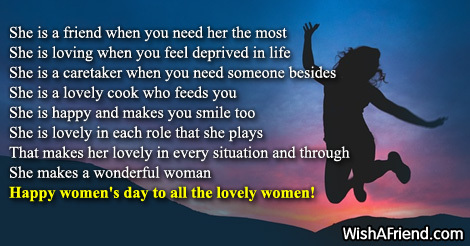 Happy women's day to all the lovely women! 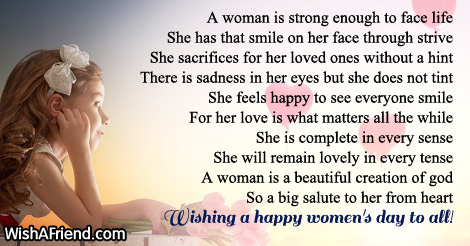 Wishing a happy women's day to all! 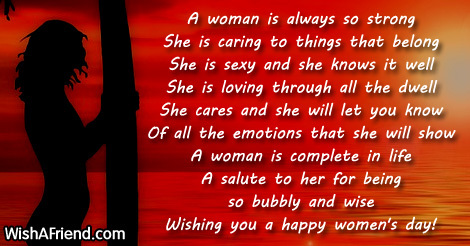 Wishing a happy women's day! 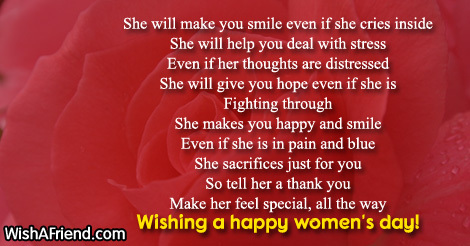 Wishing her a happy Women's day!